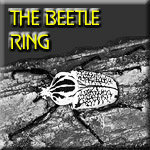 Why a web site about beetles on stamps? To conjugate two of my passions: entomology and philately. 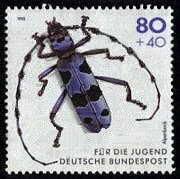 I am interested in Insects for a long time, more particularly in beetles (mainly long-horned beetles and ground beetles), and I collect stamps since more longer. 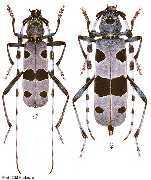 Let the entomologists purists be lenient: how to describe the beetles while remaining (relatively) brief without making enormous dead ends and being reducing? 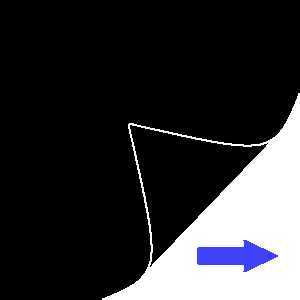 Being an entomologist myself of formation, I know that there are daring holes and sometimes shortcuts. Let the philatelists purists forgive me: the stamps presented here have only little value and there are no exceptional parts. Even locally, this presentation would not have any chance to be exposed. Moreover, the relative proportions of the stamps are not respected: they all are with the same size. But we collect as we like, and when we like, we want to share our passion. Note that this site requires a browser supporting frames, and that it was optimized for a definition of 1024x768.